Adjective. 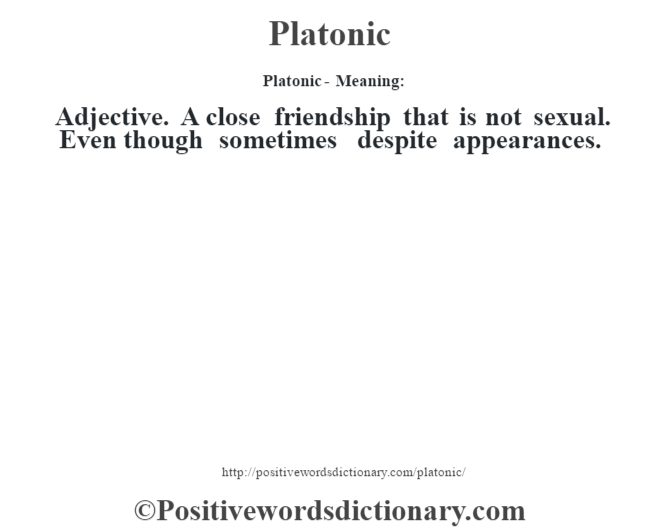 A close friendship that is not sexual. Even though sometimes despite appearances.